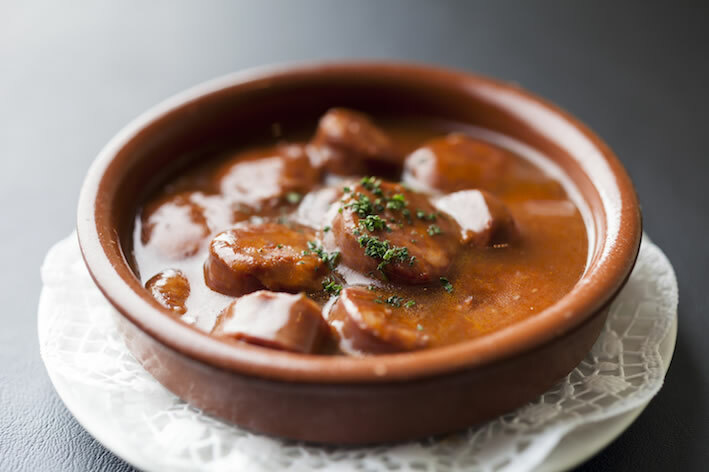 El Pirata will be celebrating World Tapas Day this Thursday, 15th June and offering our guests a complimentary classic tapas dish, Chorizo al vino (Spanish sausage in a red wine sauce) when quoting ‘World Tapas Day’ and ordering five or more tapas dishes. We are delighted to be part of #TapasDay, a worldwide celebration of Spain’s tapas culture, when different cities from all around the world will celebrate these typically Spanish morsels of ‘miniature cuisine’. We have chosen one of our most popular dishes to share with customers. Chorizo al Vino is a delicious dish, combining classic Spanish flavours and is ideal to serve as part of a tapas feast. Tapas means having a good time, sharing food and drink with friends and family, and enjoying life through gastronomy. We hope you join us with this sentiment and celebrate on #TapasDay – Thursday 15th June!